Promod Lebanon, last updated on 7 March 2017 , is listed under Apparel & Clothing category. It was added to Lebanon Directory Rinnoo.net on 7 March 2017 . Pages of Promod Lebanon on Rinnoo.net have achieved 9,318 views till now. 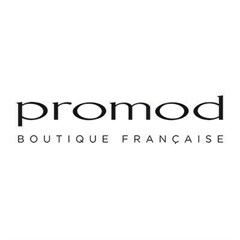 Promod was created in 1975 as a French family boutique dedicated to the sharp design, the production and the retailing of women's ready-to-wear and original accessories. With more than 30 years dynamic experience in women's ready-to-wear retailing, Promod is today one of France's biggest fashion store chains and the brand enjoys huge international success with 1056 outlets in 53 countries. All through the year, our team of designers and buyers comb the world to track down the newest fabrics and the latest international style inspirations that will add a unique appeal to Promod's collection. Promod's brand success depends on our team's strong personal values: customer insight and a shared love of fashion with lots of entrepreneurial team spirit!